Kamp for Kids: Diabetes and You heralds a 16-year history in providing education, camaraderie, and support to children (ages 4-16) with Type 1 diabetes mellitus. Begun as a small initiative with 16 campers, our numbers and scope have grown tremendously. 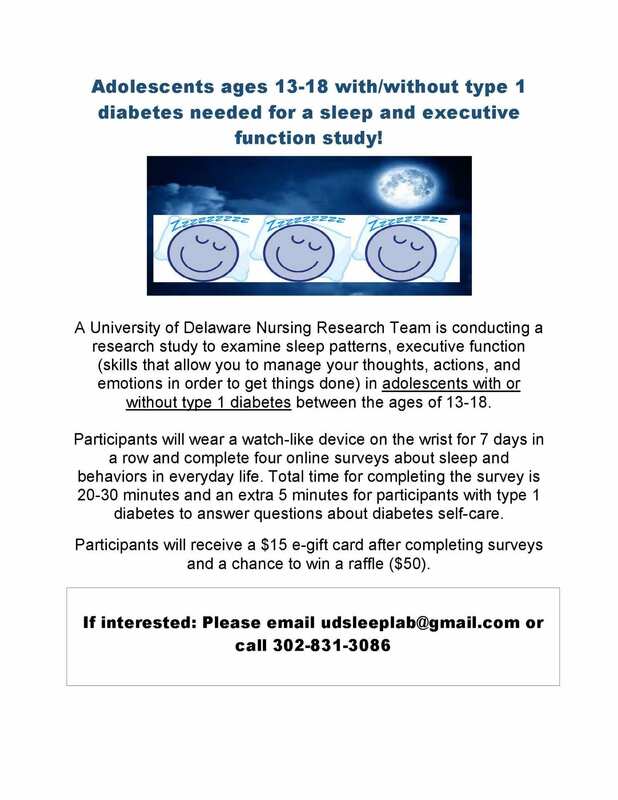 The camp is the clinical component of a University of Delaware course entitled Teaching Wellness to Children. The nursing and nutrition students learn about the condition of diabetes and its treatment, then plan and implement the camp to learn even more about living with diabetes. This provides the real-world application of classroom concepts. The University students serve as camp counselors and provide a high counselor-to-Kamper ratio, increasing the quality and safety of the Kamp. Even more valuable is the service the camp provides to children and families dealing with the rigors of Type 1 diabetes. Kampers are able to socialize with and learn from other children their age with diabetes. They are able to learn “what works and what doesn’t” from their peers. Often children are the only ones in their school, neighborhood, or community with diabetes, causing children to feel isolated and alone. Kamp for Kids provides an opportunity to normalize diabetes and learn healthy living within an environment staffed with Registered Nurses and knowledgeable camp counselors. Diabetes and You: Kamp for Kids was established in the Summer of 1999 by Dr. Judy Hermann. In 2001 we opened Kamp for Kids up to siblings of children with diabetes. This attended to the realization that diabetes is a family-managed lifestyle and that, often, siblings are a great support to children learning to cope with diabetes. Siblings have stated “I am glad I can come to camp…I am not as afraid of diabetes as I used to be.” In 2002, we further expanded our registration to friends with the knowledge that friends may offer the same level of assistance and have the same learning needs as siblings. We have friends comment that they often did not understand the need to interrupt play and games for blood sugar checks, meals, or injections. Following their time at camp, they have a greater understanding of diabetes and their role in helping their friends. These strategies have expanded the scope of the Kamp such that in 2009 we had 84 Kampers attending, reflecting a 400% growth since the original Kamp for Kids. Parents also network with each other at drop off and pick up times and during the graduation ceremony. Parents comment that they too benefit from the experiences of others. In fact, a local parent conducted a support group/coffee for other parents during camp since 2006 on the camp grounds to allow parents to come together and share their insights. Kamp has become a strong mechanism for supporting children and families dealing with diabetes in Delaware. Several children have attended the camp since its beginning and have now “graduated” to Junior Counselor status. 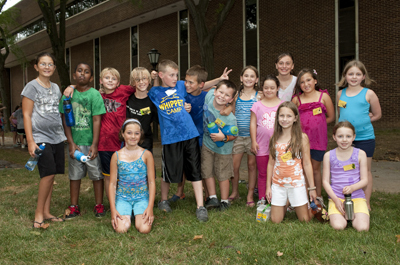 Kamp for Kids can be directed to us by email (kamp4kids@udel.edu) or by phone (302-831-1253).